In the last few years London's Illustration Art Gallery have been releasing a series of books about, and reprinting older, British comics via their Book Palace Books imprint. These include The Modesty Blaise Companion reference book, a series of reprints from Swift, Eagle's junior brother, including Robin Hood and King Arthur and His Knights both with art by Frank Bellamy, as well as what is perhaps the most impressive British comics reprint book ever, Wulf The Briton: The Complete Adventures, which reprinted every Wulf strip from Express Weekly, with fully painted art by Ron Embleton, in their full original tabloid size along with every annual strip. 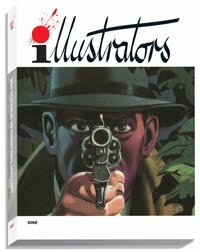 The next publication from Book Palace Books is Illustrators, a new quarterly journal that will cover British and European comic and magazine artists. Illustrators will be a high quality, 96 page, approx A4 size, glossy colour magazine edited by Peter Richardson and featuring articles by the likes of artists Rian Hughes and David Roach, and comics historians David Ashford, Steve Holland and Norman Wright. The first issue of Illustrators will focus on two British artists who worked extensively for both Amalgamated Press/IPC and DC Thomson throughout their careers, Denis McLoughlin and Ian Kennedy. Denis McLoughlin is perhaps best known for his novel covers and annuals for publisher TV Boardman, which included a twelve year run on the Buffalo Bill annual, while Ian Kennedy began at DC Thomson in the 1950s before he went freelance for a career that included everything from Commando and Starblazer for DC Thomson, Dan Dare and Judge Dredd for IPC and Blake's 7 for Marvel UK. Denis McLoughlin is no longer with us, his life ended in tragic circumstances in 2002, while Ian Kennedy most certainly is and with new work by him still regularly appearing on the cover of Commando he gives Illustrators a major interview. Also included will be articles on the art of Badia Camps and the 1960s art of Cherie Herouard , while modern artist Mick Brownfield will tell the story behind his 2009 Christmas Radio Times cover. Future issues will cover artists as diverse as Graham Coton, Giorgio De Gaspari, Luis Garcia, Reginald Heade, Chris Foss, Fortunino Matania, John Millar Watt, Jordi Penalva and L Ashwell Wood. Illustrators will cost £15 per issue plus P&P while a four issue subscription will cost £55 delivered. The first issue is due to be released during summer 2012 and is now available for pre-order. 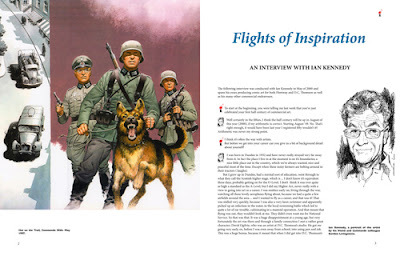 There are more details of Illustrators including further sample pages and layouts at both the Illustration Art gallery website and the Book Palace website, while editor Peter Richardson discusses his work on the title on the Book Place Books blog. 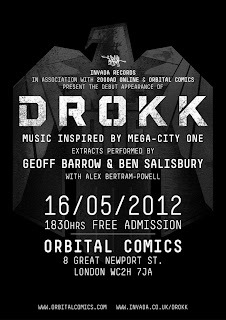 Geoff Barrow and Ben Salisbury will be performing extracts from the new record, Drokk - Music Inspired By Mega-City One, released on Invada UK, at Orbital Comics on the 16th May. As we've previously reported, this project kicked off when Barrow and Salisbury revisited and started expanding upon some of their early material, deciding to continue writing what was essentially soundtrack music. Barrow, along with album designer and long term friend, Marc Bessant, were both avid 2000AD readers from a young age, and the sprawling metropolis and classic stories of Mega-City One seemed the ideal inspiration for this ‘soundtrack’. Although Mega-City One has been brought to life in great detail over many years by the acclaimed work of writers and artists alike, the creators of Drokk feel there's still huge scope for readers to have their own vision/soundtrack of the city. Rather than intending to be the definitive sound of Mega-City One (could there be a ‘definitive sound’ of a city so vast, changeable and varied? 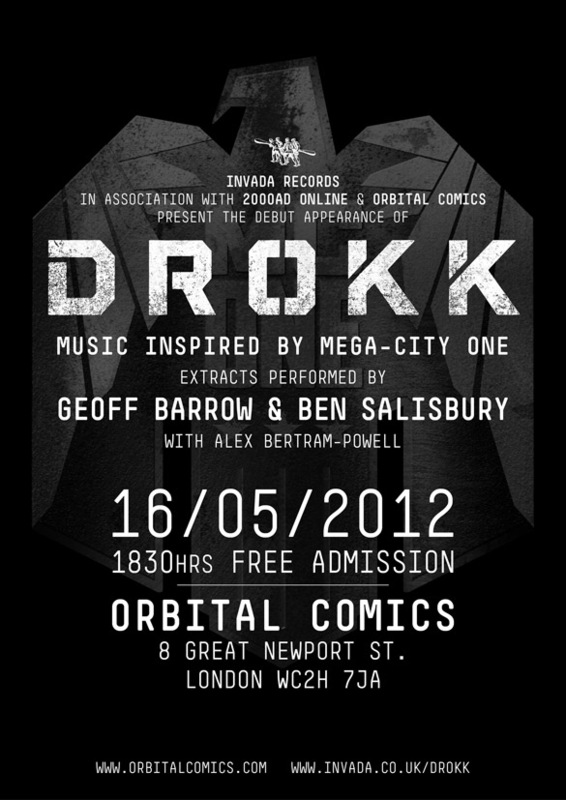 ), Drokk is Barrow and Salisbury’s personal, outsider’s’ interpretation. Barrow and Salisbury instinctively felt that music for MC1 should steer clear of the rich orchestration common to many contemporary film scores. Even for electronica the music is purposefully stark and spare, with the majority of tracks created exclusively on the Oberhiem 2 Voice Synthesizer (a 1975 classic keyboard), and its onboard sequencer used to create rhythm and drum sounds. The only exception are a handful of tracks which combine the synth with digitally manipulated and time-stretched performances of acoustic instruments - such as piano, violin, mandolin, ukelele, voice and hammered dulcimer. 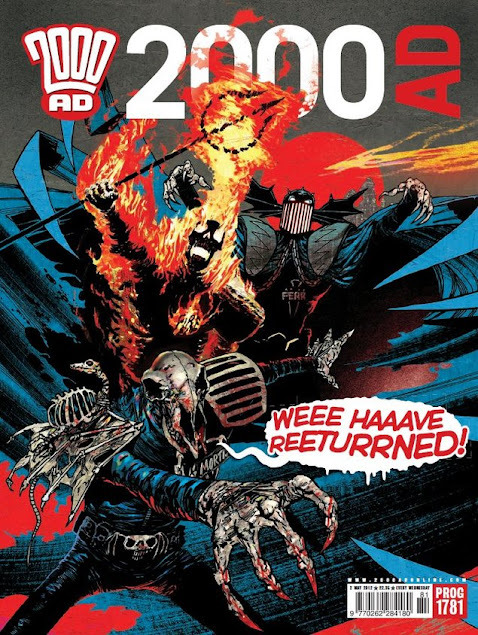 "2000AD is delighted that Judge Dredd continues to inspire artists in the year of the character's 35th anniversary, especially such high profile talents as Geoff and Ben," said a 2000AD spokesperson. "You can tell, from their vision of the Big Meg, that they're massive fans of the strip." Commando Comic Art - The Show Goes On! The exhibition of Commando cover art at the National Army Museum in London may have just finished, but fear not if you missed it. The Commando team have just informed us they're working with another museum to put on a display of some of our other pieces. "With so much art to show, one exhibition would never have been enough," says editor Calum Laird. This time it's in Aberdeen, at the home of the Gordon Highlanders and DC Thomson hope it will be a shorter journey for many of fans to make a visit. "The selection of artwork will be made in the next fortnight and is due to go on display in the second week of July," Calum told downthetubes. "More details will follow as they come to hand. "The curator (who is a massive Commando fan) is coming down to start his selection," he adds. "I think it’ll be a different group than the ones at the NAM which would be all to the good because they barely scratched to surface!" 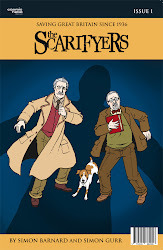 (with thanks to Matt Badham): Artist and illustrator Simon Gurr, whose credits include 2000AD and Brunel: A Graphic Biography, has announced he is working on The Scarifyers, a brand new comic based on the audio series aired by on BBC Radio, written by series co-creator Simon Barnard and sporting a very handsome cover from ligne claire legend Garen Ewing. 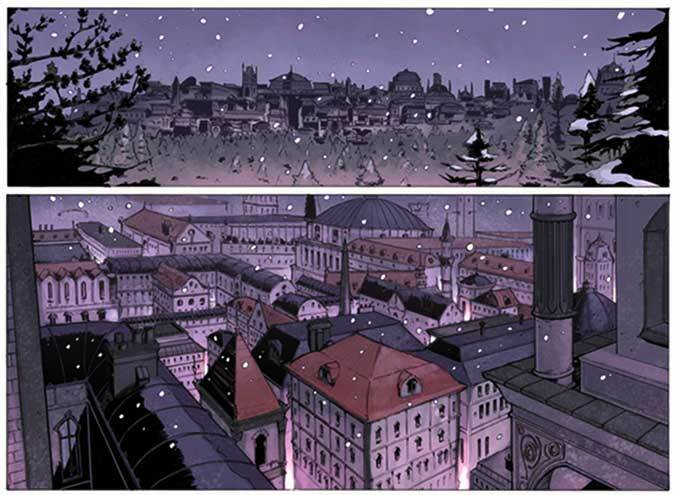 Set in 1936 London, the comic follows Detective Inspector Lionheart’s investigation of a mysterious death at the home of academic and ghost author Professor Dunning. "The spookiness is laced with plenty of humour and witty cultural references," says Gurr, "and, as you would expect from an audio play, the dialogue sparkles." The Scarifyers audio adventure series is produced by Cosmic Hobo Productions and based on stories written by Simon Barnard and Paul Morris. Set in 1936 and 1937, it follows the exploits of DI Lionheart and ghost-story writer Professor Dunning, as played by Nicholas Courtney and Terry Molloy. Each adventure is a self-contained story and is released on CD and direct download. The first two stories, The Nazad Conspiracy and The Devil of Denge Marsh, were broadcast on BBC7 in 2007. Guest stars have included Brian Blessed, Leslie Phillips and Nigel Havers. In 2011, after the death of actor Nicholas Courtney, David Warner joined the series with The Magic Circle, centred around the disappearance of Lionheart, and introduced new lead character Harry Crow, Lionheart's former police colleague. It was released in November 2011 and broadcast on BBC Radio 4 Extra earlier this year. The seventh Scarifyers story, The Horror of Loch Ness, will be released in June 2012 and features the final performance of the late Philip Madoc. "The Scarifyers is already a successful audio adventure series," Simon notes on his blog. "The comic adapts part one of the first audio adventure: The Nazad Conspiracy, and Simon has skilfully re-written it for a visual form." Garen Ewing has drawn all the covers for the seven Scarifyers audio releases so far. - Both Simons will be selling copies of #1 at the Bristol Comic Expo on 12th-13th May and at Kapow on Saturday 19th May, so look out for the Scarifyers banner if you are at either of these events. Just launched in time for the impending British comic convention season is Improper Books, a small collective of comic creators formed by writer Benjamin Read and artists Laura Trinder and Chris Wildgoose. On offer at the Bristol Comic Expo will be limited run of black and white previews of their first comics, Butterfly Gate: Beginnings and Porcelain: A Gothic Fairy Tale, both written and illustrated by Benjamin and Chris - and the art on both projects looks stunning. 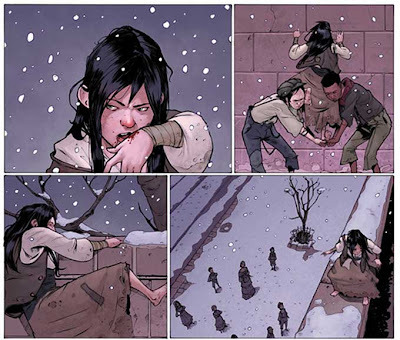 After first collaborating together on the set of UK independent feature Warhouse, the trio discovered a mutual love for comics, illustrated books, and the darker side of fairy tales and set about making their own. Since then, they’ve grown to include other creatives - artists, colourists, designers, editors, letterers and writers - and expand the projects we’re planning and developing. The group now includes the talents of Jim Campbell (Letterer), Alice Duke (Artist), Matt Gibbs (Writer/Editor), Rose Hewlett (Production Director), Mark Kendrick (Digital Media Designer), André May (Colourist), and Bevis Musson (Artist). Written by Benjamin Read and illustrated by Chris Wildgoose, Butterfly Gate follows the story of two siblings who, after throwing themselves headlong into another world, must face the brutal reality that lies beyond and find their place amidst an empire built after a revolution against the Gods. 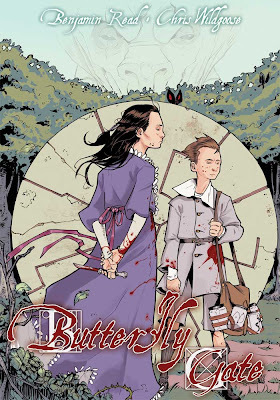 An ongoing story, consisting of three arcs, Butterfly Gate is a silent comic, a SF odyssey for an adult audience, conveying the story purely through its imagery. 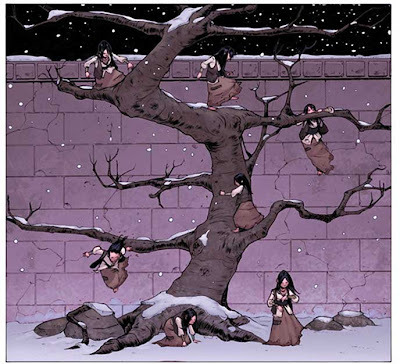 "This is both an artists dream and nightmare kind of story to draw," reveals Chris Wildgoose. "It’s completely silent, which gives me a lot of freedom and expression, but also a lot of responsibility. "I think once people start following these children through the Gate and beyond they’re going to have their minds blown, the first episode is a tiny scratch on where we’re going, you're going to see these kids travel through space and time and take on armies, nations and Gods. 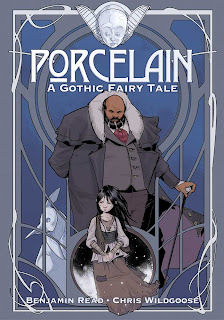 Written by Benjamin Read, illustrated by Chris Wildgoose and lettered by Jim Campbell, Porcelain: A Gothic Fairy Tale is set within a world that’s a magical echo of our own, and follows the story of a street urchin, known as Child, who leaves behind the cold streets of a snowy city when she climbs the high wall into the Porcelain Maker’s garden. 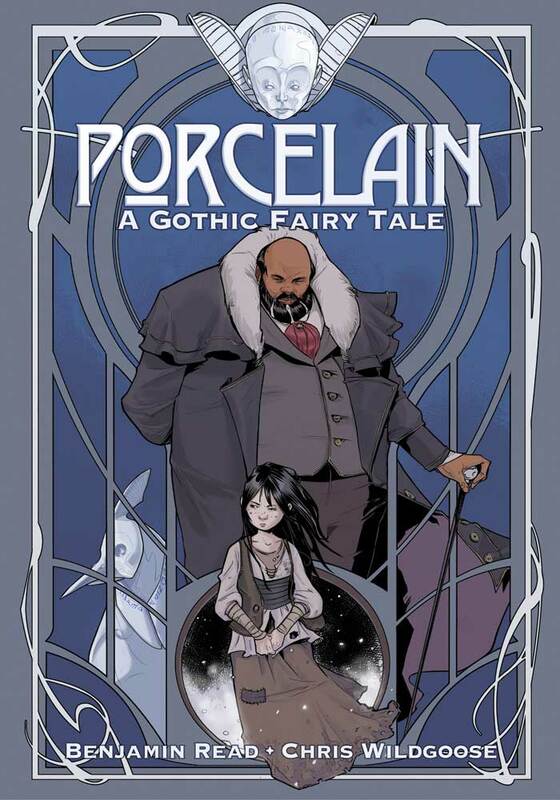 A lonely man, kept company by his amazing, alchemically-powered automata, the Porcelain Maker offers Child the chance to stay with him, and the unlikely pair come to an understanding. Shut off from the world beyond the wall, Child wants or needs for nothing as the Porcelain Maker heaps affection and luxury upon her, indulging her like a daughter. In return, she can do as she pleases, except for one command, one rule that mustn’t be broken: she must never look behind the workshop door. "I'm very lucky to be working on Porcelain," says Chris Wildgoose. 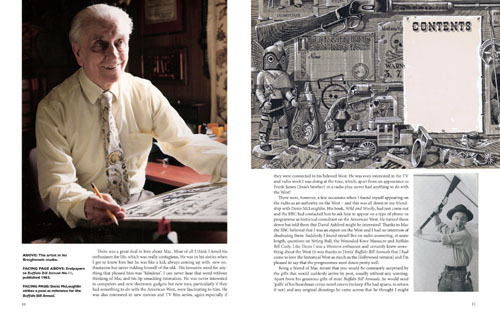 "I don't think many artists can say that they’re working on a project that is exactly what they would love to draw. The story itself is beautiful on so many levels, but has this unnerving darkness that shadows that beauty and grounds it. That blend of beauty and darkness is something I've tried to emulate with the art and have had so much fun doing that. I think mine and Ben's passion for this book shows." Over the next few months, Improper Books will be announcing more of the projects planned for this year and next. 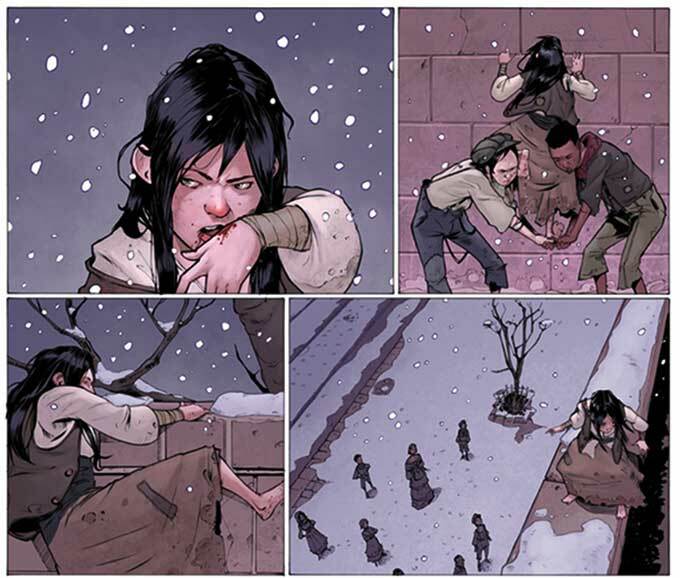 "We’ve got a variety of things in the works, from comics and books, both print and digital, to iPad and Kindle apps, and for all ages too," says Matt Gibbs. Fear. Fire. Mortis. The Dark Judges have returned to 2000AD. 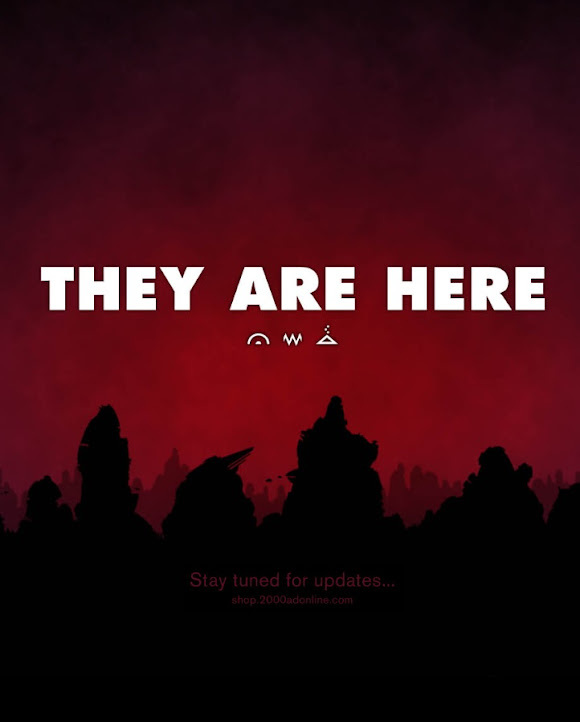 The countdown, which has been running at www.2000adonline.com, came to an end earlier today and the site has closed (although you can still get to the site's online shop - there's no stooping commerce! 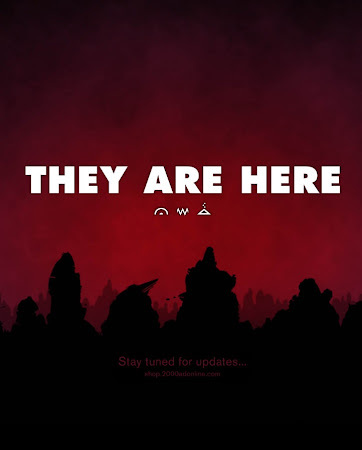 ), replaced with a single image bearing the legend ‘THEY ARE HERE’. As part of the on-going Day of Chaos mega-epic, Judge Dredd co-creator John Wagner has unleashed Judge Fear, Judge Fire, and Judge Mortis onto a Mega-City One already reeling from the Chaos Bug epidemic, mass civil revolt, and terrorist attacks. In a storyline described by SFX as “both gripping and very compelling. It’s like watching news of a reallife crisis unfolding on TV”, the multi-faceted plotline offers current, lapsed, and new readers a rollercoaster of thrills. With a stunning cover by Henry Flint, publishersRebellion tell us this has been the most keenly anticipated 2000AD event in years. - 2000AD Prog 1781 goes on sale on Wednesday, priced at £2.35 in the UK. Time Bomb Comics has announced their latest graphic novel, Kronos City, will be launched at the Bristol Comics Expo. 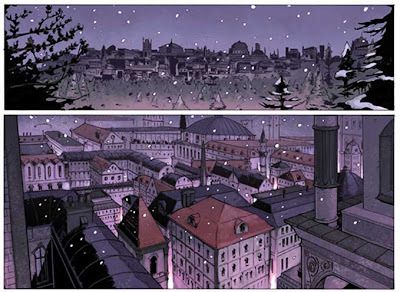 Written by Andrew Croskery, with artwork by Alex Willmore, coloured by Lauren Willmore and lettered by Jim Campbell, Kronos City is an extraordinary urban fantasy set within a city through which runs a river of time. As a special Expo Exclusive to all attendees of this year's Expo over the weekend of the 12th and 13th May, copies of this full-colour 140-page original graphic novel will be available for only £10 rather than the usual £14.99 price. 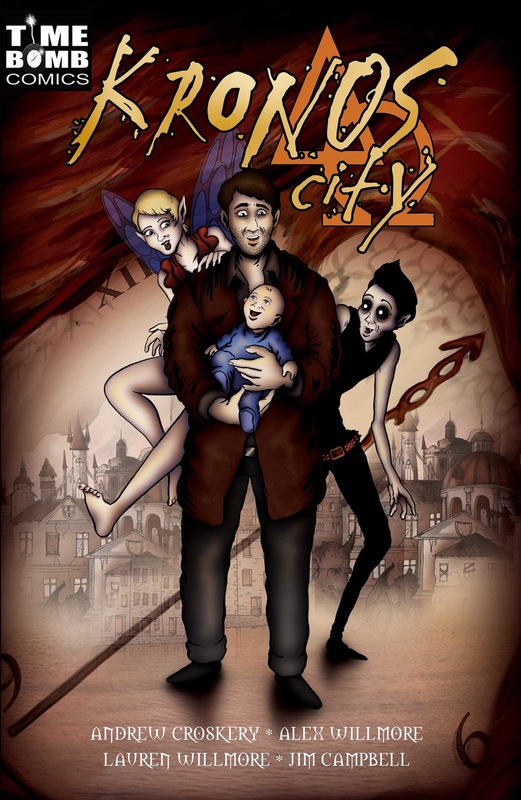 Also, as part of the Bristol Expo weekend, the Kronos City Launch Panel with the creators and publisher Steve Tanner takes place in Talks Room One at 11.15am on Saturday at the Ramada, hosted by Stacey Whittle. Afterwards the creative team will be conducting a signing session from mid-day at the Time Bomb Comics table in the main convention hall. Originally announced as one of the flagship releases of short-lived Insomnia Publications, Kronos City quickly found a new home at Time Bomb Comics and will be the first title to also be released digitally as well as in printed form from the Birmingham-based publishers. Time Bomb Comics will also be at the Kapow Comic Convention, taking place in London over the weekend of 26th and 27th May. 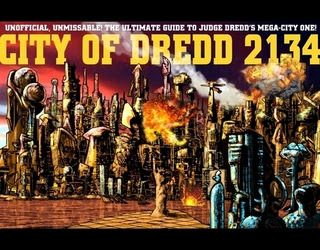 The critically-acclaimed unofficial guide to Judge Dredd's Mega-City One, City of Dredd 2134, is now available from lulu.com. City of Dredd 2134, by John Caliber, collects all the locations to have featured in official Judge Dredd and Dreddworld literature (comics, newspaper strips, novels, audio dramas and computer/roleplaying games), accompanied by thrill-powered story synopses and thousands of facts and figures. Featuring colour maps and more, it's regarded by fans as an essential reference for Judge Dredd writers - professional and amateur - and for Dredd fans in general, it's a guide that should also interest anybody wanting to explore perhaps one of the richest science fiction mythology ever produced by British comics. 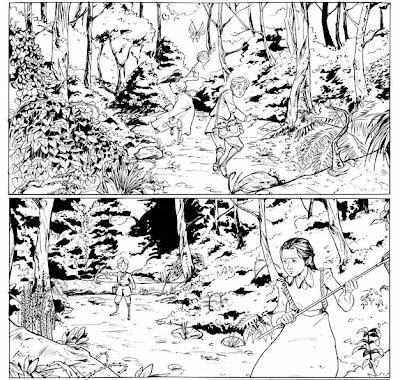 John Caliber is an artist, writer, colourist, letterer and editor now venturing into the self-publishing market (comic books, Judge Dredd reference books). He's the author/designer of two-dozen highly-regarded Judge Dredd roleplaying books and as well as another Dredd-related reference book is working on a four-issue mini series, Army Reincarnate, which will launch later in 2012.